Every day is a good day for fiber! 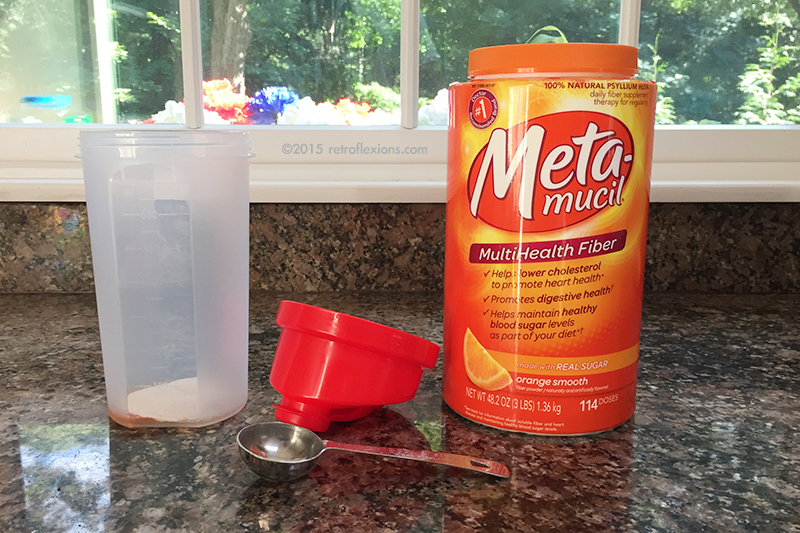 Fiber supplements containing Psyllium (such as Metamucil and Konsyl) are effective for treating and preventing constipation, as well as lowering cholesterol. These products seem to work best when dissolved in water. Although there are pill forms of these supplements, I prefer the powder form since it guarantees that enough water is taken with the fiber to help make it into a gel and allow it to move along easily in the gut. Since these supplements contain both soluble and insoluble fiber, they are sometimes hard to mix well. Once mixed they can form a gel consistency that can be difficult to drink, and at the same time much of the product can settle at the bottom of the glass and never make it into your mouth. 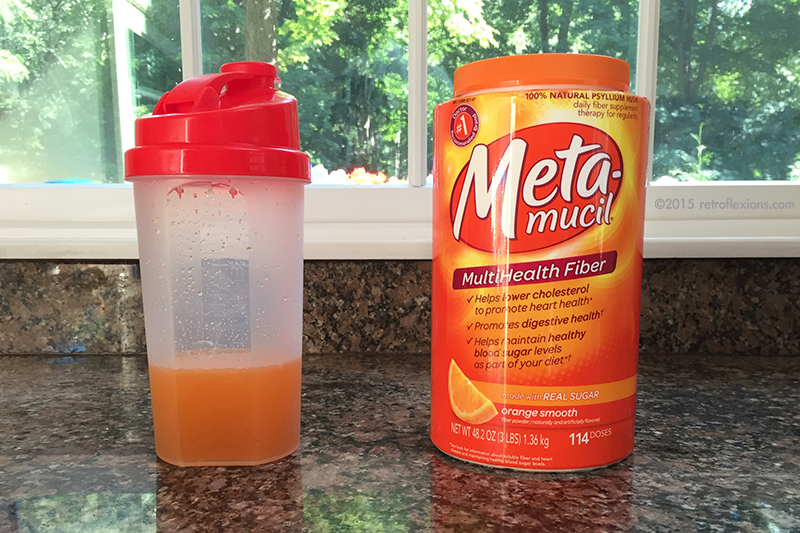 The key with these fiber supplements is to mix them well then drink them right away. 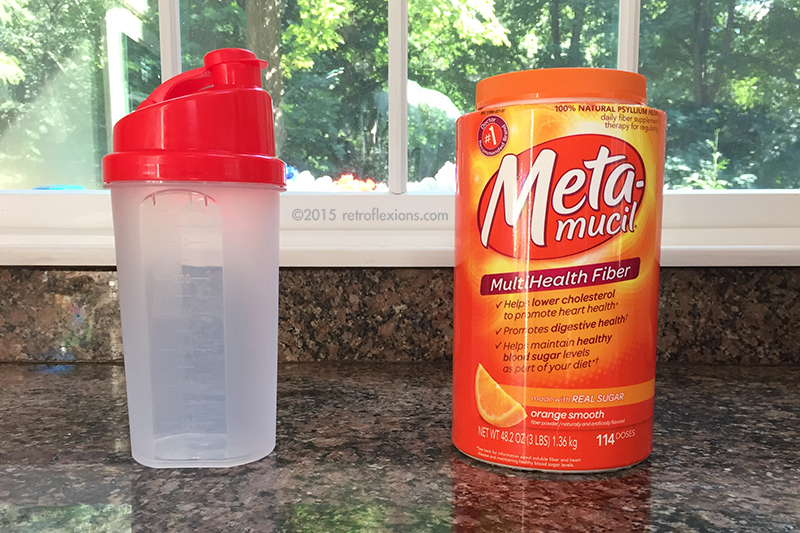 You just put a serving of fiber in the bottle, add the right amount of water (I used 8 ounces in the picture below), put the cap on and shake a few times. Then you can drink right from the bottle…three or four gulps and it’s gone. If the fiber settles out before you can finish, shake it again. Cleanup is easy too: Just add warm water to the bottle (maybe with a drop of soap) and shake. Open it up and rinse it out and you’re done. These bottles make taking fiber supplements easy. On the road or at home, now there are no good excuses why you can’t get some extra fiber! Is coffee good for your liver?